A “cornering line” is the path you follow around a corner. 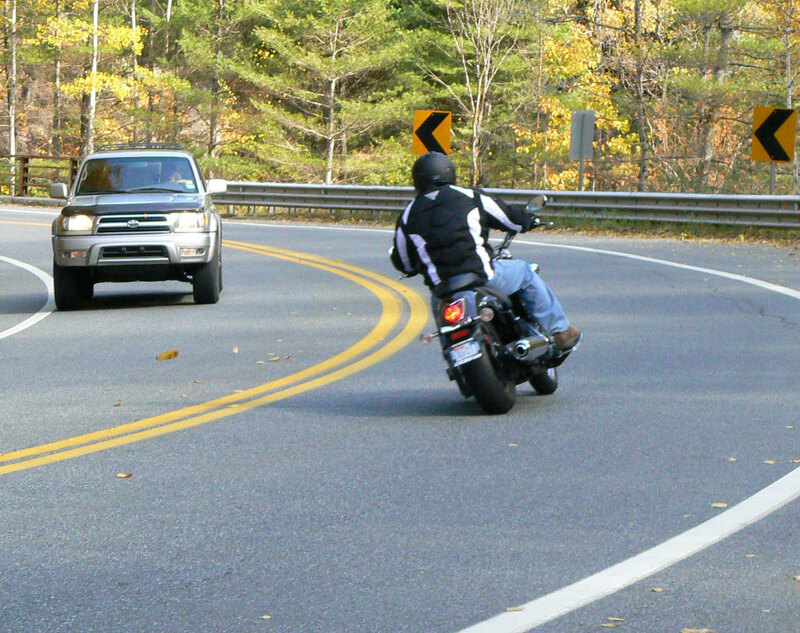 Riding a narrow, single-track vehicle means we are able to select the left, center or right positions within the lane. 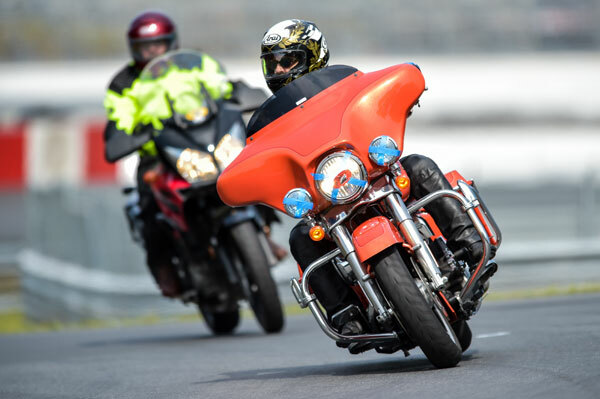 The “basic” cornering line starts by entering the turn at the outside edge of the lane and then continues to the inside or “apex” (near the middle of the corner), and ends with the motorcycle exiting toward the outside of the lane. This line is commonly known as the “outside-inside-outside” line. 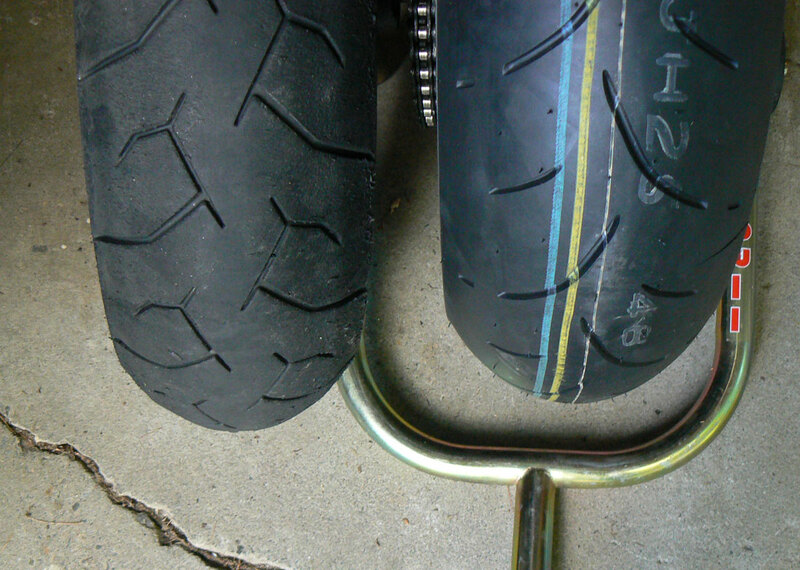 A lot of motorcycle riders don’t understand the benefits of cornering lines, believing that it’s good enough to simply keep their tires between the painted lines. This is fine when the road is predictable and speeds are low. But, as speeds increase and the road becomes more challenging, precise cornering lines become more important. 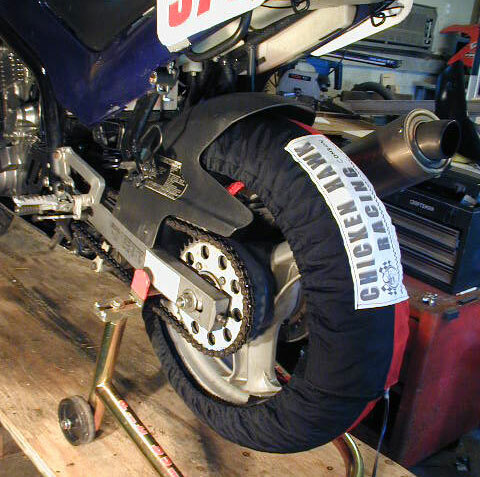 Entering the curve from the outside, apexing near the inside and exiting toward the outside straightens the curve by increasing the corner radius, which requires less lean and preserves traction. It’s important to have traction in reserve in case you have to increase lean angle or execute a mid-corner maneuver. Entering a corner from the outside also allows a better angle of view into the corner so you can get an early look at the corner’s characteristics and identify any mid corner hazards so you can adjust your corner entry speed for safety. Actively thinking about and choosing a deliberate path into a through curves makes you a Corner Master who ride with a plan. The result is a more preemptive attitude that puts your eyes, mind and body ahead of the corner. 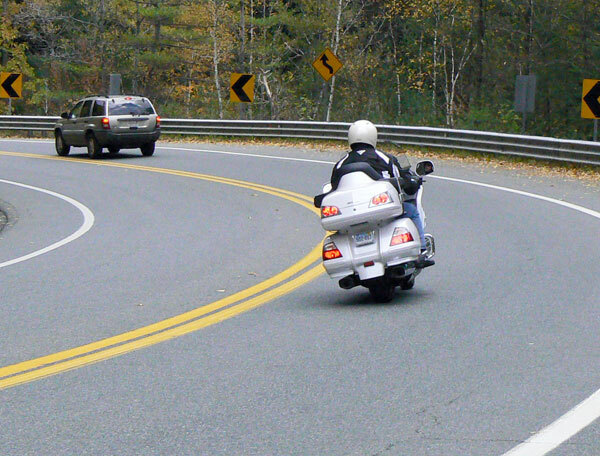 Riding cornering lines increases the engagement you have with your bike–and every corner you encounter. Riders who unconsciously stay in the middle of the pavement are passive about their riding and miss out on the opportunity for deeper involvement. Apexing early requires a late increase in lean angle. 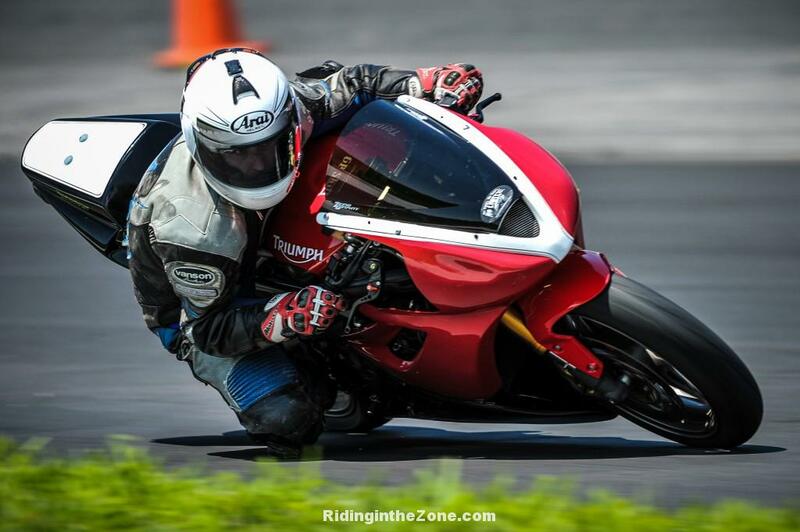 When you begin your turn (and how quickly you turn) has a significant impact on cornering precision and safety. New or nervous riders are anxious to get the turn over with, so they tend to turn in too soon. 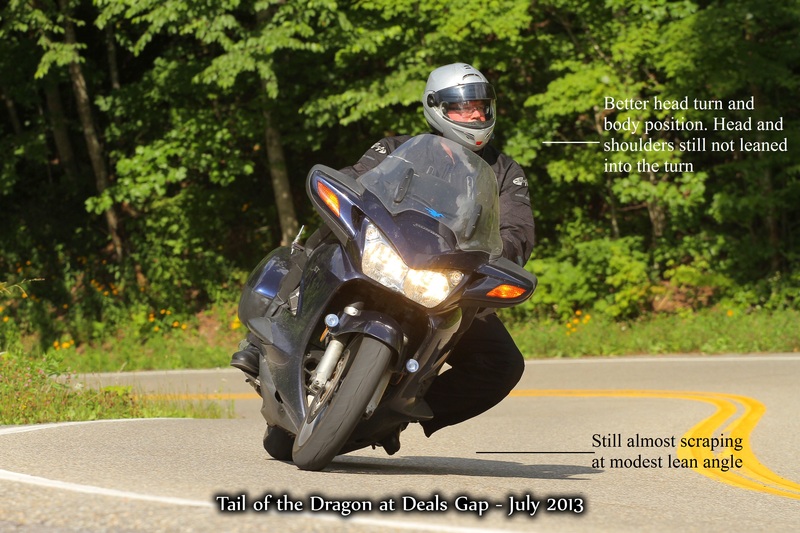 This places the bike at the apex too early, pointing the motorcycle toward the outside of the curve. 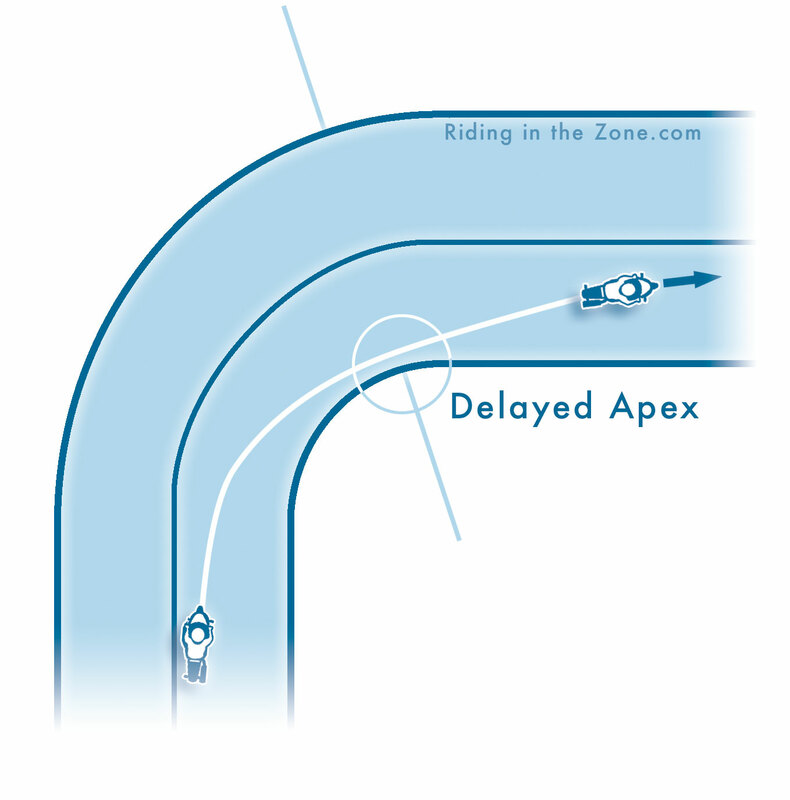 To finish the turn and stay in the lane, the rider is forced to increase lean angle past the apex at the time when they should be reducing lean angle. This is a common reason for corner crashes. 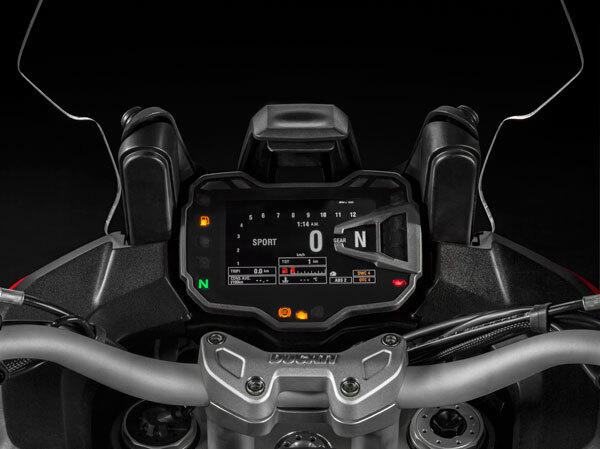 Not only does the delayed apex point the bike safely toward the corner exit and not at the outside edge of the road, but it also provides the best angle of view into the corner. Wait, wait, wait…now turn. To execute the delayed apex line requires a quick turn-in using firm countersteering. The harder you press on the inside handgrip, the quicker you will turn. Pull on the outside handgrip while pushing on the inside grip to turn in even quicker. 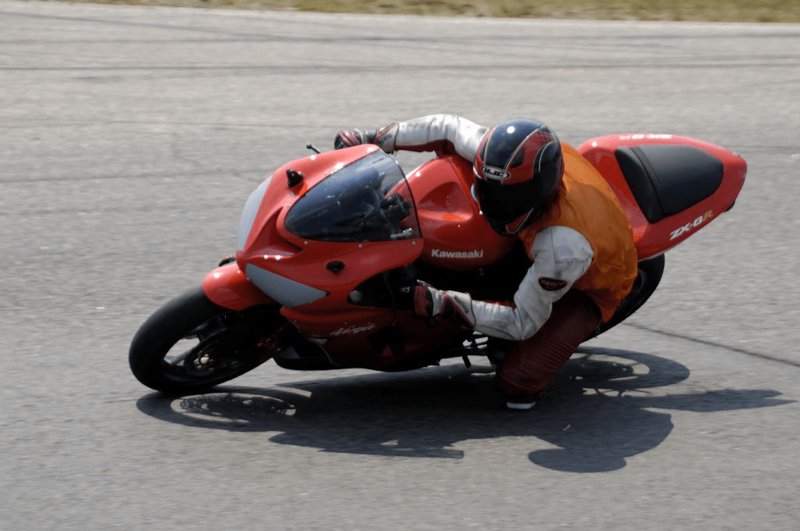 Also, pre-position your body to the inside before the turn-in to help the motorcycle fall into the corner with even less effort. Executing a precise cornering line requires coordination between the timing of your turn-in and the amount of countersteering intensity. 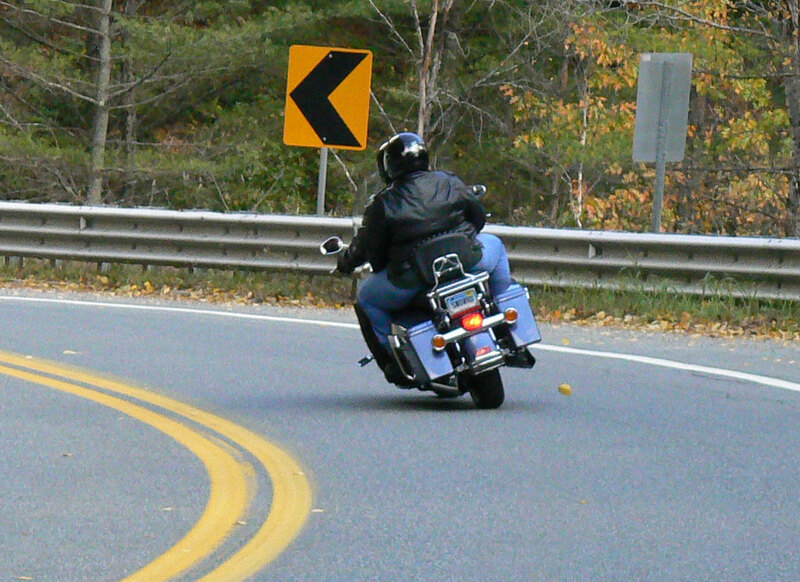 Turning in too late and with not enough handlebar force can result in a “missed” apex, causing your motorcycle to stay in the middle or even outside portion of the lane, not near the inside as desired. 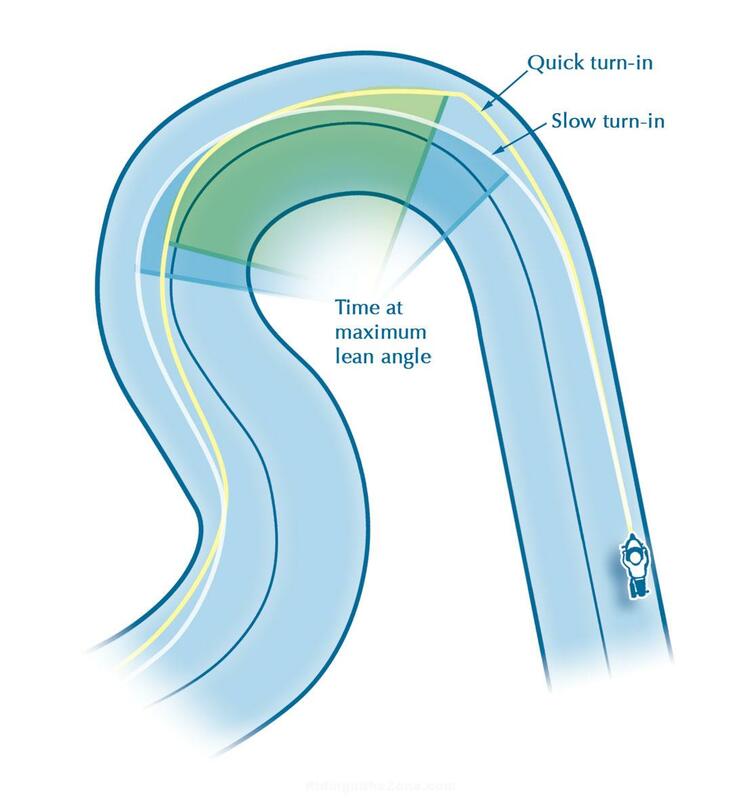 The basic outside-inside-outside cornering line is the obvious choice if the corner is isolated from other corners with a straight before and after the curve. But, multiple corners strung together can make the outside exit unusable and dangerous. An outside exit that is appropriate for a single turn may prove too wide if the next corner bends in the opposite direction. In this situation, you have to ride an “outside-inside-INSIDE” line. This means you stay inside all the way to the exit where it becomes the entrance to the next corner. Depending on the relationship between corners, you may end up with an “outside-inside-MIDDLE” line. The trick to seamlessly stringing together a series of corners is to look well ahead to identify each corner’s radius and determine what the proper entry is for the following corner. 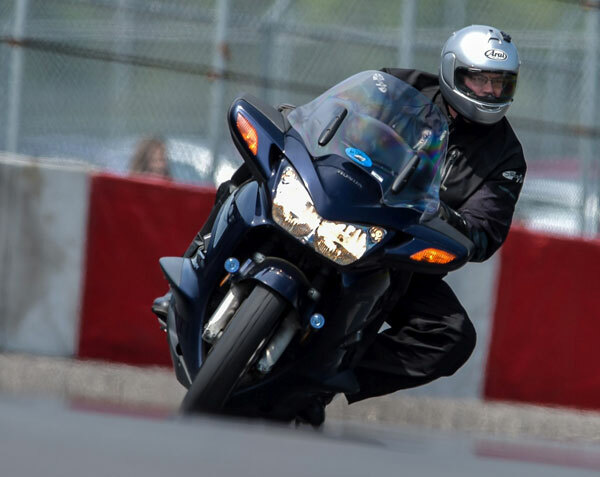 The best riders interact with their bike and the corners in a way that turns the road into a dance floor, making the mastery of cornering lines not only safer, but also very satisfying. 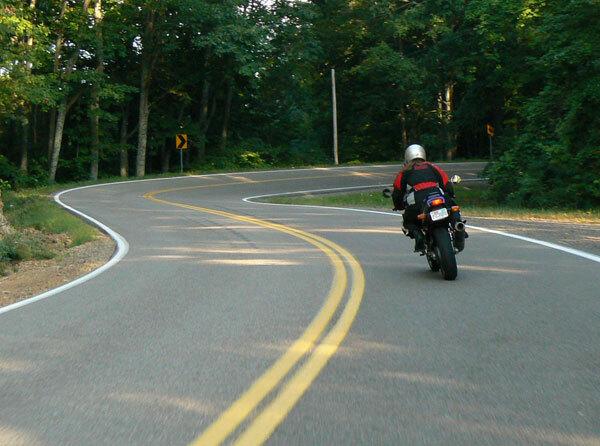 Do you use cornering lines?